On behalf of admin of JML Law, A Professional Law Corporation posted in Car Accident on Friday, Nov 03 2017. We used to think that buckling up would always save the lives of your loved ones. And while, in fact, buckling up does reduce the risk of getting injured or dying in a car crash, you’re never completely safe on the road when there are so many drunk drivers on the streets of Riverside. Two families learned it the hard way nearly five years ago, when a drunk driver with a suspended license and on parole caused a car accident in Riverside, killing a 56-year-old woman, her granddaughter, 12, and the granddaughter’s best friend. Fact: driving under the influence costs the U.S. $132 billion every year. Fact #2: DUI costs each adult in the U.S. about $500 per year. Face #3, very related to the story: up to 75% of convicted drunk drivers continue to drive on a suspended license. The case of 34-year-old Michael Dwayne Hughes, who killed three Riverside residents in the fatal 2013 car accident, was sentenced to 45 years in prison only last month, as the case had been dragged on by his lawyers for nearly five years. Hughes, the drunk driver, was driving with a suspended license and on parole under the influence of alcohol when he made a left turn in front of a PT Cruiser driven by grandmother Le Mason and two children. Hughes was convicted of second-degree murder and will spend 45 years in prison, but it will never bring back the lives of three Riverside residents killed in the fatal car crash. Background: the car accident took place on Main Street in Colton just outside the Riverside city limits. The grandmother and one of the girls died at the scene, the other girl suffered a brain injury and died a week later. The drunk driver was not even injured. More than 10,000 people die in car accidents involving an alcohol-impaired driver in the U.S. every year, and this is something to keep in mind the next time you get in your car feeling “fine” even though you drank alcohol or took drugs prior to that. 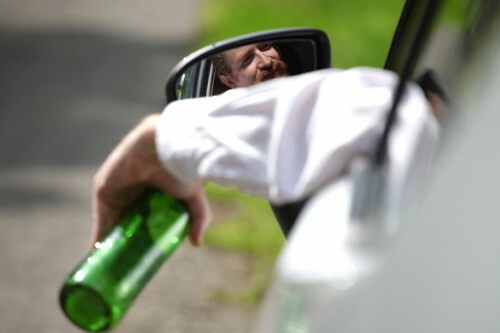 And even those who don’t drink and drive should be aware of the disturbing statistics of DUI car crash fatalities in the U.S. After all, you’re sharing the streets of America with millions other people (fact #4: in 2010, adult drove drunk about 112 million times). When you get into a car accident, let alone a fatal one, it may be overwhelming and practically impossible to come to your senses and act logically and in your best interests. Here at JML Law, we realize how important it is to provide you with speedy assistance and a free consultation. Our Riverside car accident attorneys are determined to help you figure out your best options and bring those responsible for the car crash to justice. There’s no time to waste after car accidents, as every second and every word you say counts. Never negotiate with the drunk driver (in fact, stay away from him until the police arrives) and don’t negotiate with the drunk driver’s insurance company before consulting an experienced car accident attorney in Riverside. Call JML Law offices at 818-610-8800 or send an email for a free case evaluation. We don’t get paid unless you get compensated for your damages.